The main issue with fake drugs isn’t the fact that they are fake but rather that they can be very different from the original product in a quantitative and qualitative way. Indeed, many of them don’t have the active ingredients they claim they do. This can be particularly dangerous for the patients that take the counterfeit drug since it won’t treat the disease it is supposed to treat. Furthermore, if the ingredients and the dosages are different, the product can trigger unexpected secondary effects that can lead to death. From a more economical perspective, drug counterfeiting represents an annual loss of 10,2 billion euros for the European pharmaceutical sector and 37.700 jobs are lost because manufacturers employ less people than they would if fake drugs didn’t exist. 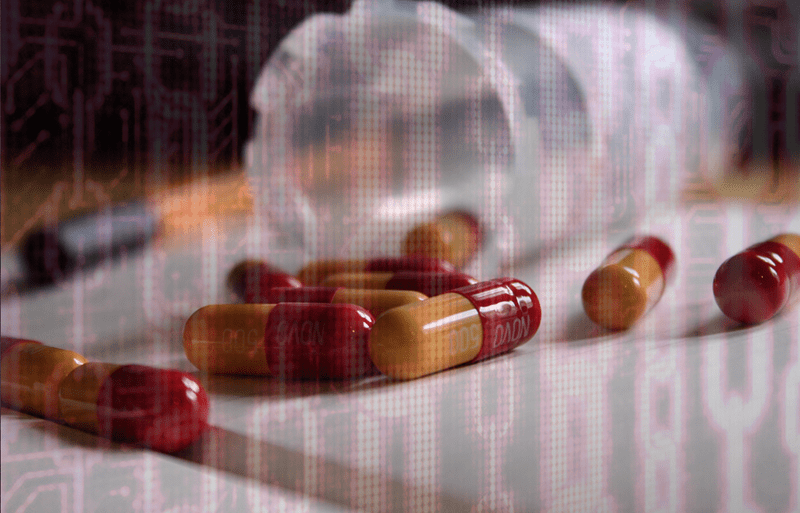 One of the main issues today, is that there is no harmony between the systems used to track drugs, and often, stakeholders on the supply chain have an incomplete vision of the origin and destination of the products they receive. Imagine the supply chain like a puzzle where each actor owns a piece of the puzzle. Most of the time, the complete puzzle is hard to put together, allowing fake drugs to enter the chain and reach the patient. 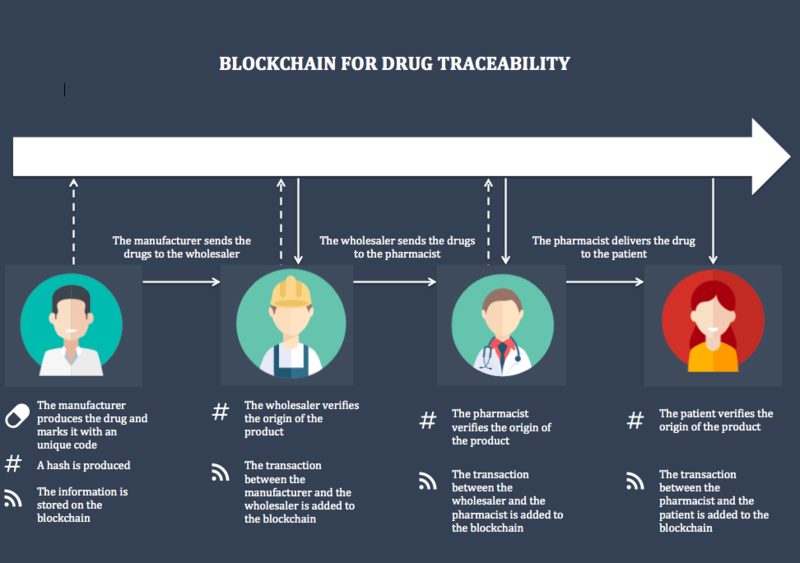 With blockchain technologies, each piece of the puzzle is stored in a safe and secure way, with each stakeholder adding to the puzzle as the drug goes down the supply chain. At each step, it is possible to see the entire puzzle built so far and have a trustful vision of the history of the product. Furthermore, if a problem is detected and a batch has to be withdrawn from the market, blockchain technologies make it easier for the company to find their products and hence, avoid any complications. In the pharmaceutical industry, clinical trials are designed to test the tolerance and effectiveness of a product on a group of patients in order to validate or invalidate hypothesises. Usually they take several years and the outcomes are critical for the future of the drug. Pharmaceutical companies and their sponsors can invest billions of dollars and a non-conclusive result could have great financial repercussions. Due to the importance of the results in clinical trials, fraud is not uncommon. However, it is not easy to estimate how frequent it is. Indeed, those committing fraud are not likely to admit what they did and the problem is usually under-reported. During clinical trials, a considerable amount of data is produced – safety and quality reports, statistics, blood tests, surveys, medical imagery – and large groups of people are involved, making it hard to track and control everyone. Hence, mistakes can be committed along the way, some unintentionally and others not. Fraud usually includes modifying or hiding data that could compromise the advance of the clinical trial and damage the image of an organization among regulatory agencies or patients. Different types of data can me modified or manipulated. First of all, the trial has to be very precisely designed, in term of hypothesis, research protocols and data keeping methods. This information is not always shared prior to the beginning of the trial, which allows participants to modify the protocols to favour a positive outcome. Afterwards, all the patients involved in the trial have to sign Informed consent Forms that can be incomplete or even fabricated if the researchers failed to obtain consent. Moreover, throughout the trials, patients undergo biological tests and complete surveys to track the evolution of their condition. However, the data that is collected from the patient and the one reported on standardized forms can be different. Usually, the reports are compared between the participating centers to spot inconsistent data but this type of fraud is not rare especially in trials that occur in only one centre. Blockchain can provide proof-of-existence for any document and allow anyone to verify the authenticity of said document. In order to add new data – in the form of transactions – the majority of nodes have to agree that it is valid and coherent with the blockchain history. Hence, modifying existing information would require changing the records of the majority of the computers in the network. This characteristic of blockchain is very powerful when applied to clinical trials. Indeed, as mentioned above, data is often altered or modified because there is currently no system that prevents it. A study conducted by Dr. Irving and Dr. Holden looked at how exactly blockchain can be used to provide proof-of-existence for clinical trial data and allow anyone to verify it. 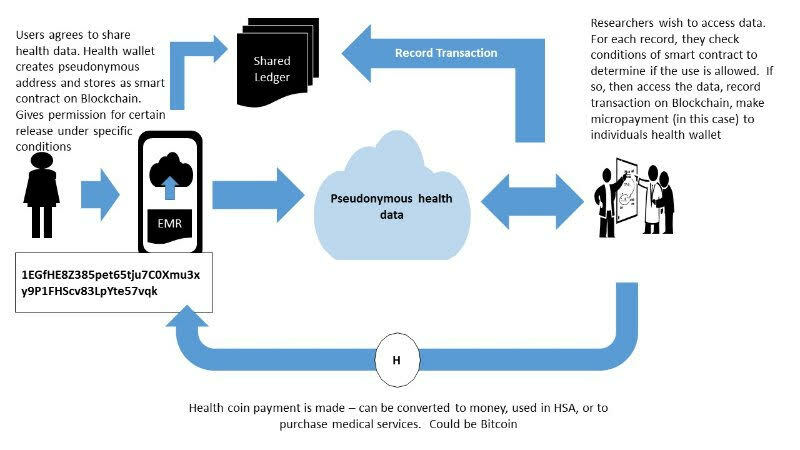 In order to be stored on the blockchain, data from the trial goes through an SHA256 calculator that provides a hash, which is a unique code, specific to the content of the document (trial protocol, biological results, Informed Consent Forms, etc.). Even a small change in the original file could result in a completely different hash. Using a bitcoin wallet, public and private keys are provided. The public key proves that a certain document was registered on the blockchain at a certain time. If during the trial, someone has doubts about the authenticity of data they encounter, they can verify that information they have is similar to the original information stored on the blockchain. To do so, the person would have to run the data they have through the SHA256 calculator and compare the public and private keys that are generated. If the newly created keys are identical to the original ones on the blockchain, this means that the data has not been altered. When it comes to patient data management, there are two main issues in the healthcare industry. First, each patient is unique therefore there is no such thing as a common disease or common treatment strategy. What works on a patient might not work on the other due to inter-individual variability. Hence, access to complete medical records is essential in order to adapt the treatment and provide personalised care. Healthcare is becoming more-and-more patient-centred. Second, sharing information among the medical community is a major challenge. Still today, doctors use social networks to communicate and share patient data. This type of medical data is sensitive and should always go through secured networks when divulgated. Moreover, the lack of secure structure to share data is an important obstacle for scientific advances. Indeed, medical records are kept in very different locations, and there is no common database. Allowing the researchers to access the data could heavily contribute to scientific advances worldwide especially when it comes to rare diseases or minorities. Finally, blockchain also addresses the notion of data ownership. Today, the patient cannot claim full ownership of his medical records because giving him complete control over the information would also allow him to change certain information or even delete parts of it. This could have repercussions on both his health and public health. The downside of not letting the patient own his data is that he doesn’t always have control over who is using and sharing it. This is paritcularly true when it comes to weareables. Furthermore, medical records are not the only source of data related to a patient. Indeed, as IoT develops, wearables become an important souce of information. This type of data could be used in the patient’s interest to track his activity, set goals and adapt treatments. All this can be done through smart contracts. Indeed, the patient and his GP can define the clauses of the contract and set objectives and consequences if the patient succeeds or fails to reach them. 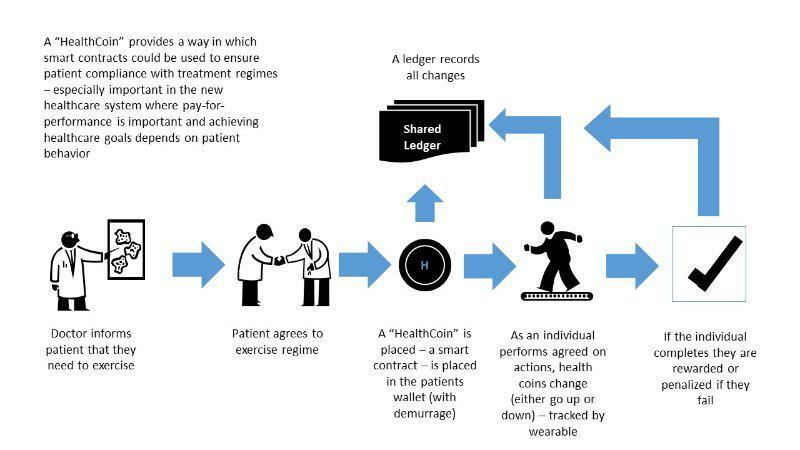 The patient’s wearables record information and compare it to the clauses of the smart contracts in order to produce an action (reward or penalty). Moreover, the data is also sent to the GP, that can interact with the patient, see what were the main difficulties in reaching the objective, and therefore adapt the care.